If there is one area I will encourage you to get into a good routine, next to the management of your household, it would be meal planning. This is an area that will look different in each household but choosing to do nothing over trying various plans to see which one fits your family would be a good option and save you a lot of time, money and stress. Meal planning helps you to make healthier choices for your family and more of your cooking will be homemade with wholesome ingredients. There is nothing worse than not planning to eat leftovers, buying duplicate items at the store that are already in your cupboards or wondering what you're going to feed your family at 6:00 pm. Meal planning saves you time & money. It will minimize your trips to the grocery store and clear the leftovers out of your fridge. I am one of those weird people who loves to grocery shop. Give me the choice of a grocery store trip over a trip to a mall any day. When we travel for vacation, I get so excited to visit a new grocery store. Now in sharing my love for grocery shopping, I still prefer not to have to visit my local store more than once a week. It is a savings of time and money! 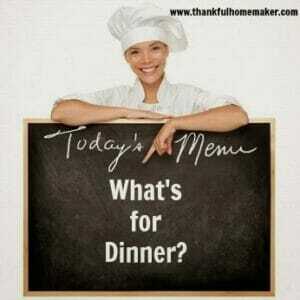 Let me share a few meal planning options below and some sites that will do it for you for a small fee. I like free, so I'm sticking with my own. 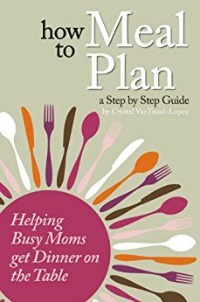 Plus, I have tried some of the paid meal planning sites in the past but they just didn't work with my scheduling, and I like using my cookbooks and recipes. You may prefer someone to do all the thinking for you, but you still have to shop and make the meals – and wash the dishes! 1. Grab your calendar and look at your week. Make sure to note when you may need a quick meal or maybe when you're having someone over etc. 2. Grab a notebook and a few of your favorite cookbooks. I've been using Pinterest more frequently in my meal planning. I'll pin recipes that look of interest I come across and come back to them to integrate some variety into our weeks. You may want to incorporate your local grocery store's weekly flyer for specials and consider any coupons you may want to use. 4. I plan all three meals every day for a week at a time. Work leftovers into your lunches, and it is amazing how creative you can get with using them up. 6. Write it down on a notecard, menu planning sheet, right on your calendar or whatever works for you. Plan your grocery list from the menu plan and double check items you already have on hand. 7. At the bottom of each day, I'll write if there is anything special I need to plan for the next day. Note: A great reminder from a lovely reader (see the first comment) Jennifer reminds you to save your meal plans each week then you have ideas already on hand for future planning. Thank you, Jennifer! Family Feasts for $75 a Week – this one's a favorite! 1. Meal plan from the food you have on hand in your pantry and fridge. This is a great way to save money and declutter your pantry and fridge at the same time. 2. Meal plan from your favorite grocery store sale flyer each week. 3. Monthly meal plan by writing out a month's worth of meals. You can choose to shop weekly, biweekly or monthly this way too. 4. Pick a night of the week for a different type of meal. 7. Have a fun way to post your weekly plan for the whole family to see. Tons of ideas on Pinterest. 25 Grace Filled Journey to Real Food – 3 Week Menu Plan Included with Gluten/Grain Free Option from My Humble Kitchen. eMeals – You choose your type of plan (Clean Eating, Low-Carb, Paleo, Classic Meals, etc.) and they send you a weekly menu with a shopping list. You can choose where you will shop for some of the meal plans. 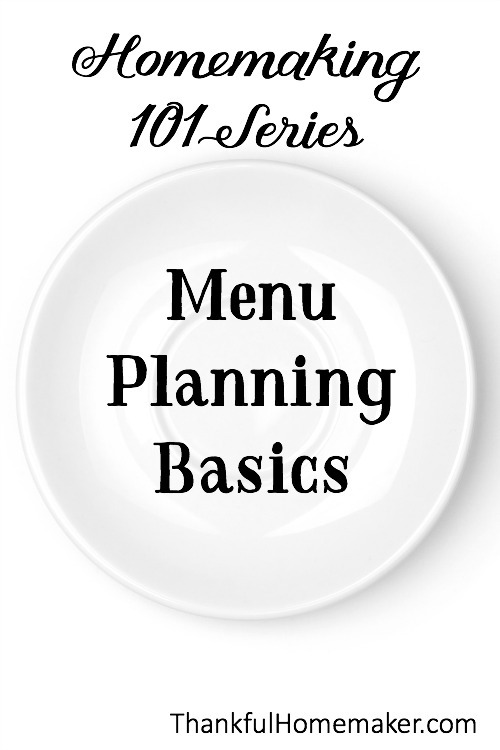 Build a Menu – You select from their list of recipes and where you'll shop for a customized menu plan. They even have Trim Healthy Mama Recipes to choose from. My Humble Kitchen – Real food menu plan already taken care of for you. I recommend you take advantage of the sample menu plan. If I were going to subscribe to a service, this would be the one. Plan to Eat – You enter your recipes easily from various websites and type in your own to plan menus easily and quickly by dragging them from your recipe book to your plan. It is customizable which is a plus. Once most of your recipes are in the system it would make menu planning quick and easy. If you haven't meal planned, take the time to start. If you're already a planner, share with us in the comments what you do and how you've benefitted from it. We keep our menu plans too, in my mom’s planner. And she also keeps a list of our favorites and go-to meals in our cupboards, that way if we need ideas we can look and see what we’ve liked in the past. We’ve also started doing a Meatless Mondays- which is fun and somewhat challenging. I’ve tried menu planning in the past, but never developed a habit (not sure why since when I did do it, dinnertime was so much easier!) But this year, I joined a 12/52/365 group where we pick three things we are going to do monthly, weekly and daily, and for my weekly, I chose menu planning. I’m hoping the accountability in the group will help … I’m determined to make this a habit because I know it’s better health-wise, budget-wise and sanity-wise. I’ve done the first two weeks already and today I will plan for the third week. I’m saving my menus so that maybe I can repeat a good week here and there, but my goal is to not repeat a meal more than once a month (unless it’s a family fave like Friday pizza night, of course). Thanks for all the ideas and resources because it can get hard to be creative! Jennifer such a good idea to save your menus – I do that and didn’t even think to put it in the post this time. Thank you for the reminder. 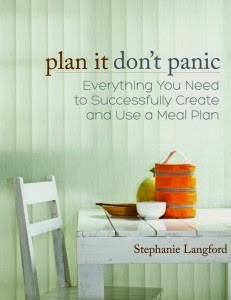 Thanks for sharing and I’m hoping your menu planning habit sticks for you too! Blessings!